Painted in Florence; this is one of the few portraits to survive from Reynolds's Italian journey (1749-52). Calendar Act (also known as Chesterfield's Act after Philip Stanhope, 4th Earl of Chesterfield) comes into force, abolishing the old Julian calendar and adopting the more accurate Gregorian calendar. The year now begins on 1st January rather than 25th March. Parliament passes a bill to bestow estates forfeited by Jacobites to the Crown and use the revenue to develop the Scottish Highlands. Artist William Hogarth publishes his influential book The Analysis of Beauty which presents his ideas about aesthetics. 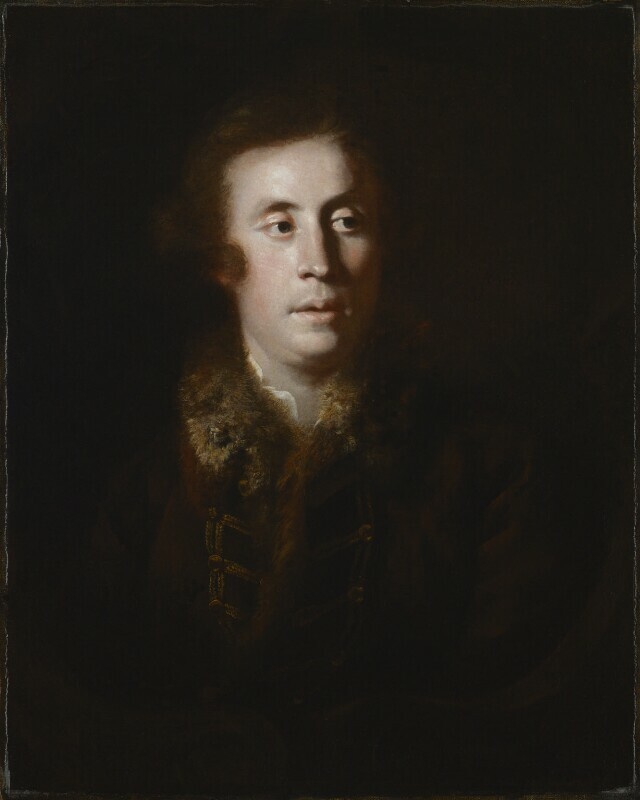 Charles Avison publishes Essay on Musical Expression; the first work of musical criticism published in English. Obstetrician William Smellie introduces scientific midwifery. Benjamin Franklin flies a kite into a thunder cloud to demonstrate the nature of electricity. Georgia becomes a royal colony; the last of the thirteen American colonies. French seize or evict every English-speaking trader in the region of upper Ohio. Liberty Bell arrives in Philadelphia. Robert Clive forces the surrender of French troops in the aftermath of the Siege of Trichinopoly in India.